One down, three to go, and what a way to kick it off! Country Jam 2017 hit the ground running with an awesome day of hot Country Music and fun. Take a look.This makes 26 Country Jams for me, and I don't think I've ever seen a hotter 'Day 1.' Insofar as the weather was concerned, temperatures were just about right. When it comes to the music... that's how it's done. Sasha McVeigh returned to the Jam to get things underway. Shortly after, Smithfield hit the stage. Rolling Stone magazine published an article stating Smithfield is one of 10 Country acts you should keep your eye on in 2017. After hearing them in concert, it's obvious why. It was great seeing Sammy Kershaw again. He's never been better. He infused some good ole fashioned Country into the festival. Randy Houser... what can you say? The guy is the COOLEST! That's one entertainer who knows how to write a song, record it, and then knock it out of the park with a live performance. Justin Moore closed the night with a high-energy, very well produced show. Of course, he's grinning ear to ear with the birth of his son, he and his wife's fourth child. So, what's up with the KEKB tattoos in the photo at the top? Those two ladies sported their KEKB tattoos, and as a result, won meet n' greets for Randy Houser. How did that work? Swing by the KEKB tent at the very back of Vendor Row. We'll apply the temporary tattoo. As the festival progresses, things come our way. Sometimes, like in this case, we get meet n' greets. Sometimes artists give us copies of their CD's. 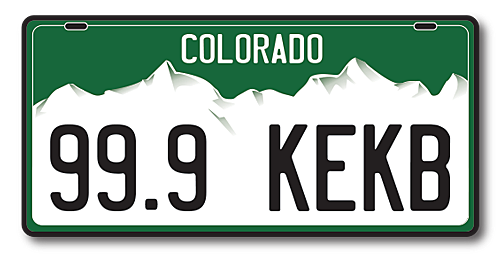 When we get these goodies, we set out in search of people sporting the KEKB tattoos. You may win something, you may not. It's very much a spur of the moment kind of thing. In any event, it's those with the tattoos who win. We also have the registration boxes at our tent. Drop your name and phone number in those for your chances to win. Why two boxes? One if for meet n' greets, the other is for swag. Registering is only part of the equation, though. For you to win, we have to be able to reach you. Please keep an eye on your phone. Country Jam has always featured rides, but there are a few new kids in town. I would love to see you take a spin on this thing. Last night was fun, and that was Thursday! Imagine what is yet to come. Follow these words of wisdom - GET THY BUNS OUT HERE! Bring your hot little bod, a hat, sunscreen, and if you're in General Admission, a comfy portable chair. We're looking forward to seeing you at the "Four Hottest Days of Summer."